If you’re thinking about selling your promissory note – that is, converting your promissory note into cash in Charleston, you need to be aware of some of the steps involved. Otherwise, the process can easily become confusing and overwhelming. The tasks and tips laid out here apply to real estate notes, land notes, mobile home notes, and, basically, any other promissory note secured by property or assets. So here are a few things you need to be aware of and do to make the whole process a little smoother. 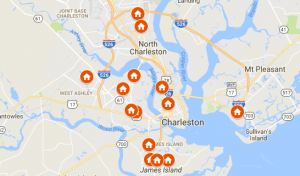 Your first step in converting your promissory note into cash in Charleston is to locate and have readily accessible all the documents used to close the sale at the time it took place. These usually include (but certainly aren’t limited to) the mortgage or deed of trust, the promissory note, the closing and settlement statement, and the payor’s personal information including credit score. With this information in hand, you can provide the investor the necessary information for assuring an accurate offer. Contrary to what some expect, converting your promissory note into cash in Charleston does not mean an investor will pay you the full balance owed on the note when they purchase it. Bids and purchase prices will always be discounted from the current note balance. The simple fact is investors have to make money, too, so they expect to purchase a promissory note for a price that will allow a return on their investment. This is where the services of a professional will come in handy to help you structure the note to increase its appeal to investors – and so get you a higher price. Nothing will delay the process of converting your promissory note into cash in Charleston like providing inaccurate information. Beyond providing accurate information in the first place, you should also be prepared to verify everything or, lacking the willingness or ability to do that, expect an even greater discount. Investors must do due diligence and check everything out. This is where the rubber meets the road in converting your promissory note into cash in Charleston. The payout agreement is a brief unilateral document that specifies the investor’s obligation to pay a specified amount if and when the deal closes. For some people in certain situations, cash in hand is a better option than payments spread over months or years. So for them, converting a promissory note into cash in Charleston is a good idea. If you decide to do this, however, you need to be vigilant. Or you could cut down on the worry and hassle and by working with experienced professionals.